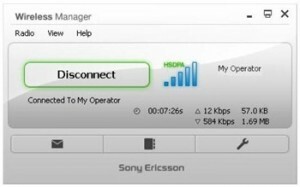 Sony Ericsson MD300 HSDPA/UMTS/EDGE, Mobile Broadband USB Modem. Support Network: HSDPA 850/1900/2100 MHz; UMTS 850/1900/2100 MHz; EDGE 850/900/1800/1900 MHz; GPRS 850/900/1800/1900 MHz. 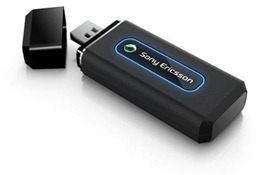 Download Wireless Manager 5.2.2052.17 and Windows drivers for the MD300 USB modem. Windows 2000 (SP4), Windows XP (32/64-bit) ,Windows Vista (32/64-bit) ,Window 7 (32/64-bit). Check that you have Microsoft .NET 2.0 or greater installed. Make sure the MD300 is removed from your computer. Run the "setup.exe" file. The Wizard for the Wireless Manager appears. Follow the on-screen instructions. When installation is complete, click Finish. Fully insert the MD300 (with SIM card) into your computer.